Commissioning new music is not an everyday occurrence. It takes time and careful planning and there’s still risk involved; there’s no guarantee you’ll get what you want at the end of it! In 2017, CMF worked closely with Tabea Debus to commission thirteen new works from thirteen leading contemporary composers. 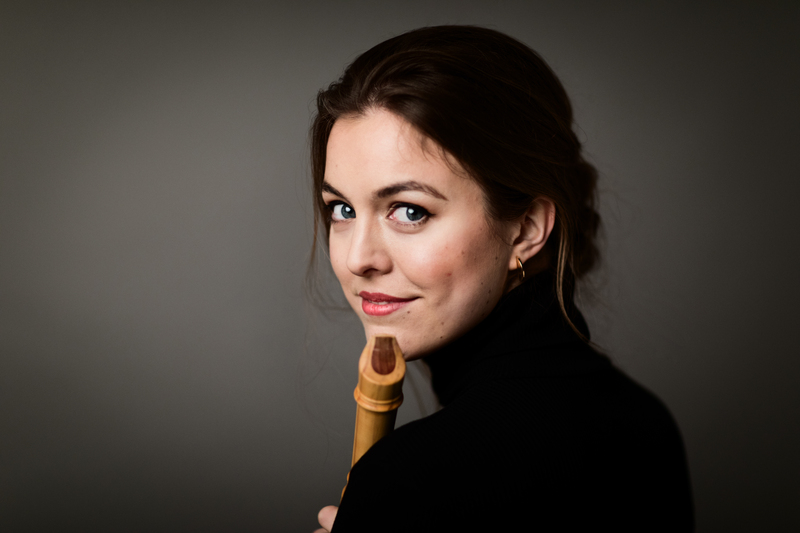 Commissioning so many new works at once is a rarity in itself, but when you consider that these are works for solo recorder – an instrument often pigeon-holed in the early-music world – the project is all the more remarkable. XXIV Fantasie per il Flauto is the culmination of a two-year project, one that was instigated by Tabea’s wish to celebrate the 250th anniversary of the death of her Baroque hero, Georg Philipp Telemann, whose Twelve Fantasias for Unaccompanied Flute is one of the stalwarts of the recorder repertoire. The album presents a complete recording of Telemann’s Twelve Fantasias interspersed with twelve of these new works, each of which is a response to one of Telemann’s fantasias. The contemporary composers include established names such as Colin Matthews and Ronald Corp, rising stars like Dani Howard and Leo Chadburn, and two CMF alumni: Alastair Penman and Misha Mullov-Abbado (now a BBC Radio 3 New Generation Artist). 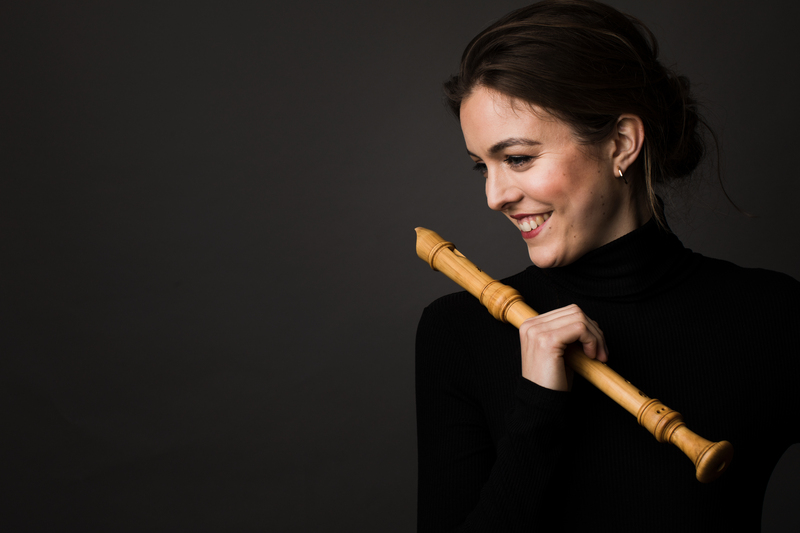 Together these 24 (XXIV) fantasias form a rich anthology, a hybrid work almost, which is both a natural extension of Telemann’s own ravenous appetite for new musical styles and a true picture of what it is to be a recorder player in the 21st century. CMF Artist Manager, Tabitha McGrath caught up with Tabea ahead of the launch at Dr Johnson’s House on Tuesday 10th April. Last year I really wanted to find some way of commemorating Georg Philipp Telemann, who died 250 years ago in 2017. Having always looked for an excuse to play (and learn) all of his twelve flute Fantasias, the idea to combine this with my passion for contemporary music seemed like the perfect project. Which part of this project has been the most exciting for you? Meeting and collaborating with all the contributing composers – and of course learning their pieces! What does Telemann’s music (and in particular his fantasias) mean to you? A recorder player himself, Telemann writes so well for the instrument! Although technically the Fantasias are composed for the flute rather than the recorder, they are ideal unaccompanied additions to any concert programme. 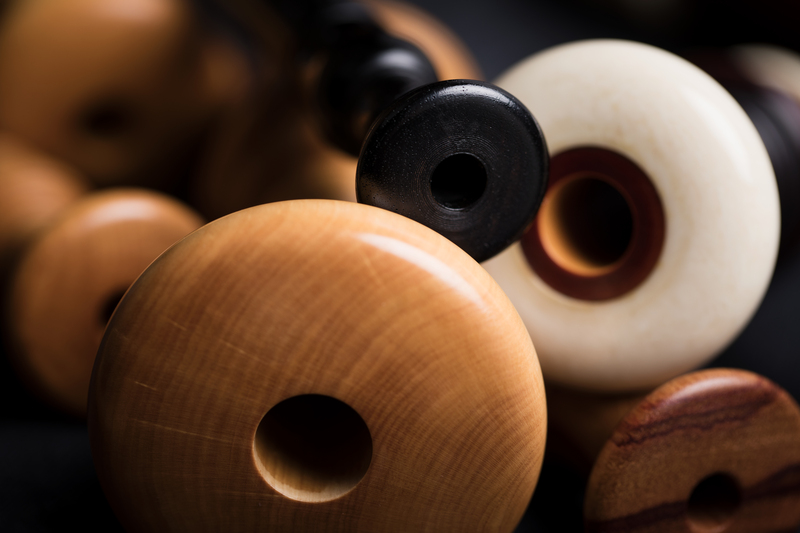 With regards to my project, I’ve particularly enjoyed the freedom that comes with adapting them for the recorder and taking them into the 21st century – especially deciding which size of recorder to use, which tone and which sound colour. Is it important for musicians to commission? Absolutely! 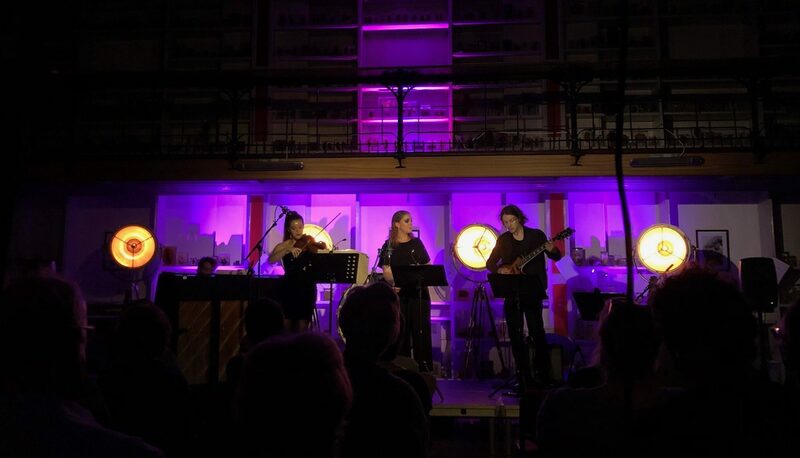 We are often so busy studying, exploring and playing music from the past that we have to remind ourselves of the importance to support and perform the music of our own time, and the opportunities that come from communicating with living composers! As a recorder player the lack of repertoire from the late-18th and 19th centuries is an encouragement to commission and a chance to add to the fairly limited stack of ‘original’ recorder works. Have these new commissions taught you anything? All of them have challenged my own perception of what is and isn’t possible on the recorder. Most of the composers had not written for the recorder before and thus their approach to this unknown territory has been very refreshing, and reminded me of the sheer unlimited possibilities this instrument holds. What do you hope will be the legacy of this project? I hope the new pieces will become an important part of many recorder players’ concert programmes and encourage others to develop their own projects and collaborations. Why did you decide to record these pieces? Apart from practical reasons (documentation of the project for myself and the composers) the pieces were written for me so I wanted to be the first to record them as well. Additionally, the recording scenario added another aspect to playing the pieces outside concert performances, and it has been really exciting (and challenging) to record my first complete solo album. Tell us about the recording process – where and how did you record the album? I only started planning the recording a few months before the actual sessions, so I was lucky it all came together! We had three days of recording sessions in St Mary’s Church in Harrow-on-the-Hill at the end of October; Adam Bunks then had the first edits ready only a couple of weeks later, although it was another three months until the CD was printed. This is your first solo recorder album – how did the recording experience compare with your ensemble sessions? How did you come to play the recorder? Coincidence! A friend of mine wanted to have lessons when we were about 6 years old, but didn’t want to go alone. He stopped after a year or so, but I liked it so much I continued with the lessons. What has been a recent career highlight? Apart from premiering all the CMF commissions in various solo recitals across England and Germany, I’ve just been on tour with The English Concert to play the recorder obbligato in Händel’s Rinaldo in Seville, Madrid, London and New York! What are you looking forward to in the coming season? Lots of exciting projects and concerts coming up this summer, including solo recitals presenting my new album, collaborations with La Serenissima, a new contemporary music project with LSO Soundhub and the YCAT finals at Wigmore Hall in May. This recording and launch will be the culmination of your bespoke project with CMF, has CMF been useful to you? I couldn’t have done this project without CMF! Firstly it is down to their persistence that we ended up commissioning 13 new pieces (despite my initial hesitations with regards to the right number of new works 🙂 With our combined efforts, we managed to get a stunning array of emerging as well as well established composers on board. The luxury for me was that I only had to think about the musical, playing and creative side of the project as CMF took care of all the administrative and financial aspects, and have continued this invaluable support throughout the project and the CD recording. This project has really helped me create a unique project and define who I am and what I do as a professional musician – and that’s all thanks to the CMF Artist Programme! If so, what have been the best bits about working with CMF? They have been super reliable in their support, always patient no matter how small or big the issues were, and most of all focussed on me as an individual musician and the overall aim of creating something personal that would help me achieve the next steps in my career.